It may only be May, but Escapists are long overdue their moment of glory, and 2014 looks set to be their year. And it might be an old photo, but the band themselves have been around for four years, so you can understand what I mean when I say, long overdue. Escapists have well and truly earned their cult status with their lack of mega stardom for such a colossal sound. Their first single to receive some major attention occurred all the way back in 2011, with Post Gospel Blues getting picked up by XFM’s John Kennedy. Since then they’ve had a slew of singles, including the killer track Screams with it’s massive, festival sized choruses of guitar hooks howling in and out between the vocal breaks from Simon Glancy the band’s frontman. Now this year, Escapists have released a further two, vastly, tremendous tracks, Breaking It Up, and most recently Blood. Breaking It Up is confusingly nostalgic as with your first lesson, you’d swear that this is an old Editors track, until Tom Smith’s vocals don’t arrive and instead, Simon’s impressive, falsetto vocals take place and freeze your heart in complete admiration. Blood contrasts with Breaking It Up as a key focus on pulses of math-rock instead of harder Indie Rock tones are used. The effect is a heart warming familiarity to Foals, alongside the structure of a pop song ready to take on the world with it’s popping guitar tones and an earworm of a chorus. Mega, indie anthems, on par with NO and Editors. Blood is out now via iTunes, but get it through their bandcamp, they’ll see an extra few pennies. *UPDATE* Their debut album, Only Bodies, is out August 4th! Bandcamp, bandcamp, bandcamp. Soundcloud has Blood and Breaking It Up on, but the bands older singles are bandcamp only. You’d be a fool not to as there’s no doubt that they’re going to be huge! 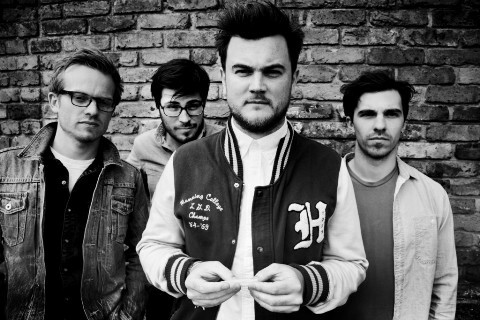 For fans of: NO, Editors, Foals, just generally hugely capable Indie bands.